Finding the perfect dorm decoration for your room can be overwhelming. Luckily our college dorm store offers a superior selection of dorm posters that are funny, cute, and sophisticated, like this Swans Reflecting poster by Salvador Dali. This 26’’ x 36’’ dorm poster is the perfect wall decoration for the artsy and confident college student. When it comes to affordable dorm room décor, college posters are a no brainer. 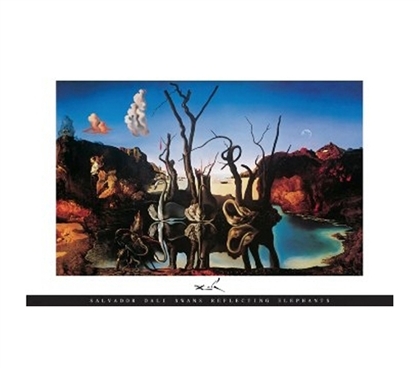 Since Dorm Co knows college students can’t afford to decorate their dorms with an authentic Dali, this gorgeous dorm poster is a perfect alternative. Decorate your dorm walls with this striking Dali college poster. Save money on dorm decoration and add personality to your college space with this unique poster that ships in just 24 hours!